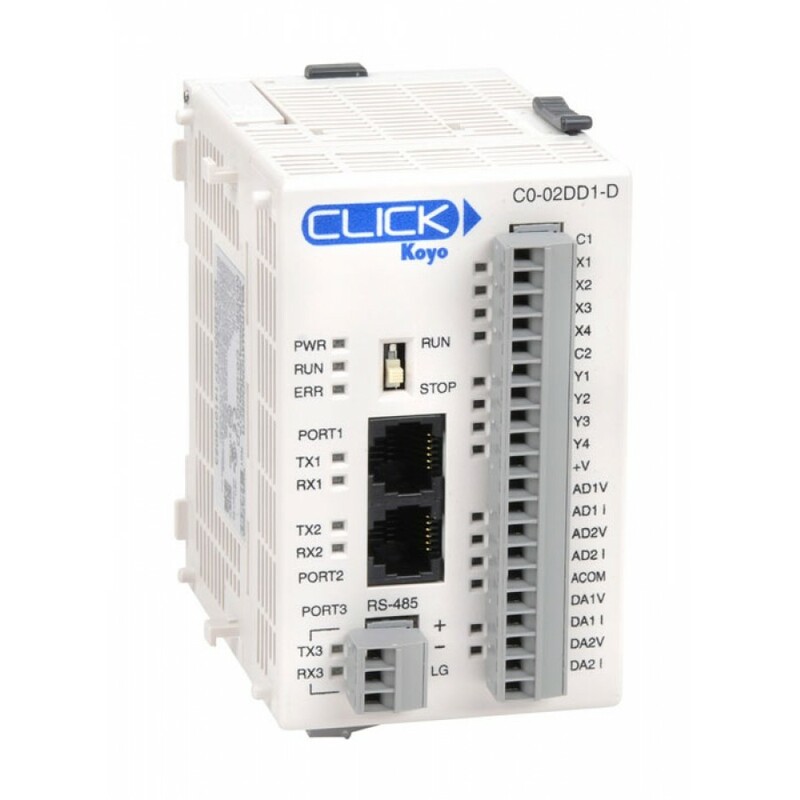 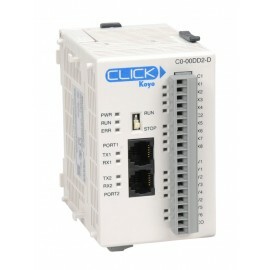 CLICK Serial Analog PLC, 4 DC in / 4 sinking DC out, 2 channels analog in / 2 channels analog out (current / voltage selectable), requires a 24 VDC power supply; 8K steps program memory, 6.4K words data memory, Relay Ladder Logic programming; built-in RS232C programming port, additional RS232C ASCII or Modbus RTU communications port (configurable up to 115.2K baud), 3-wire RS485 networking port for ASCII or Modbus RTU communications. Real Time Clock / Calendar and battery-backed memory. Discrete Inputs: 4 DC inputs, 24 VDC sink/source, 1 common. 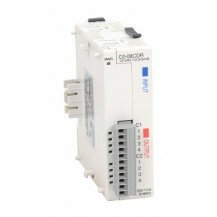 Discrete Outputs: 4 DC outputs, 5-27 VDC sinking, 0.1A/point, 1 common. Analog Inputs: 2 channels 4-20 mA or 0-5 VDC. 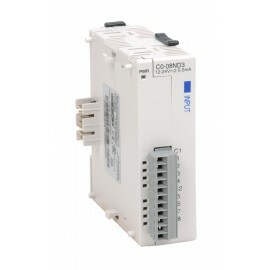 Analog Outputs: 2 channels 4-20 mA or 0-5 VDC. Removable I/O terminal block. Battery for memory sold separately (D2-BAT-1).